[i] This is a timely finding, insofar asbreast cancer awareness month is only days away, and one of the primary fund-raising justifications is the false concept that a low-cost, safe and effective breast cancer treatment is not yet available. Could ginger provide the type of cure that conventional, FDA-approved treatments have yet to accomplish? The new study was performed by researchers at the Biological Sciences Department, Faculty of Sciences, King Abdulaziz University, Saudi Arabia, who discovered that a crude extract derived from the medicinal plant ginger (Zingiber officinale) inhibited the proliferation of breast cancer cells, without significantly affecting the viability of non-tumor breast cells — a highly promising property known as selective cytotoxicity, not found in conventional treatments. Despite significant advances toward targeted therapy and screening techniques, breast cancer continues to be a chronic medical problem worldwide, being the most common type of cancer in women and the leading cause of death . Typically, the treatment of breast cancer involves hormonal therapy with tamoxifen or other selective estrogen receptor (ER) modulators [2–4]. However, almost all patients with metastatic disease and approximately 40% of patients that receive tamoxifen experience relapse that ends by death . In addition, the clinical utility of ER antagonists is often limited by side effects [2, 3, 6] and is largely ineffective against ER-negative breast cancer [2, 3]. 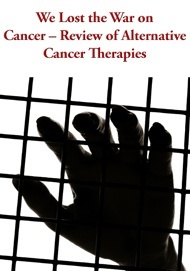 Furthermore, despite the fact that many tumors initially respond to chemotherapy, breast cancer cells can subsequently survive and gain resistance to the treatment . Thus, identification of novel agents that are relatively safe but can suppress growth of both ER-positive and ER-negative human breast cancers is highly desirable. Despite knowledge about the potent anticancer activity of the ginger, the molecular mechanisms underlying this activity are not currently well known in breast cancer. 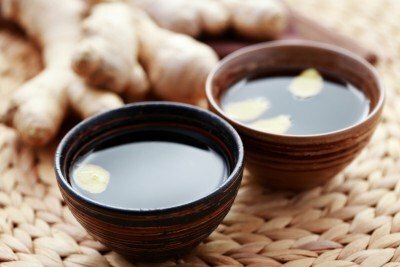 Based on the previously mentioned reported scientific data and considering the fact that in some cases herbal extracts are showing more potency than the purified components [21, 22], the present study was undertaken to investigate the impacts of crude extracts of ginger on growth of breast cancer cell lines.